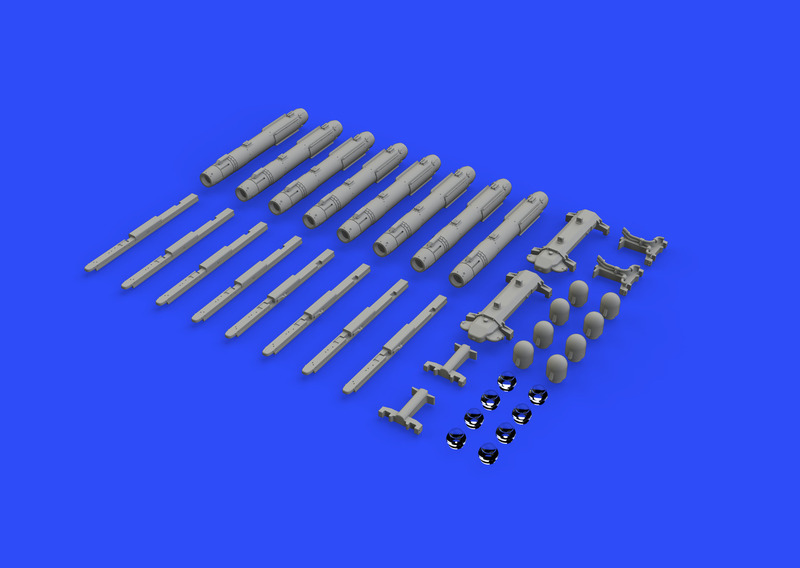 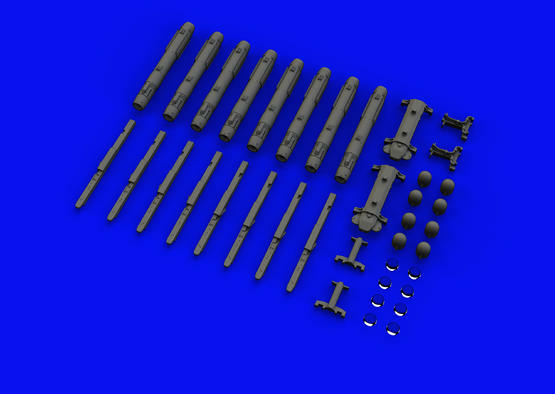 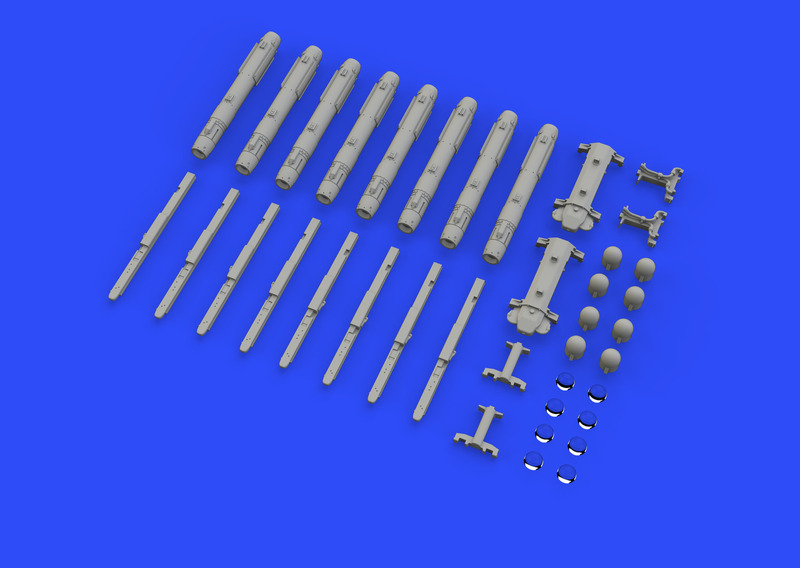 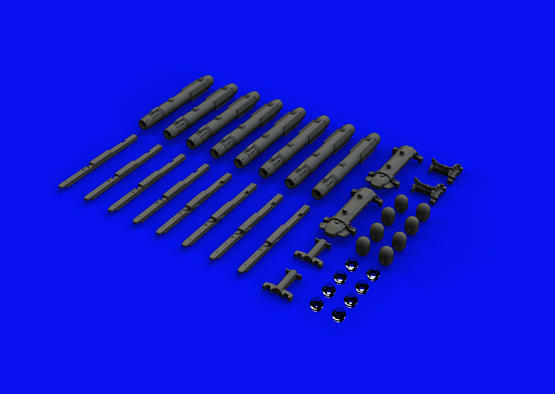 Brassin set of AGM-114 Hellfire air-to-surface rockets in 1/72 scale. 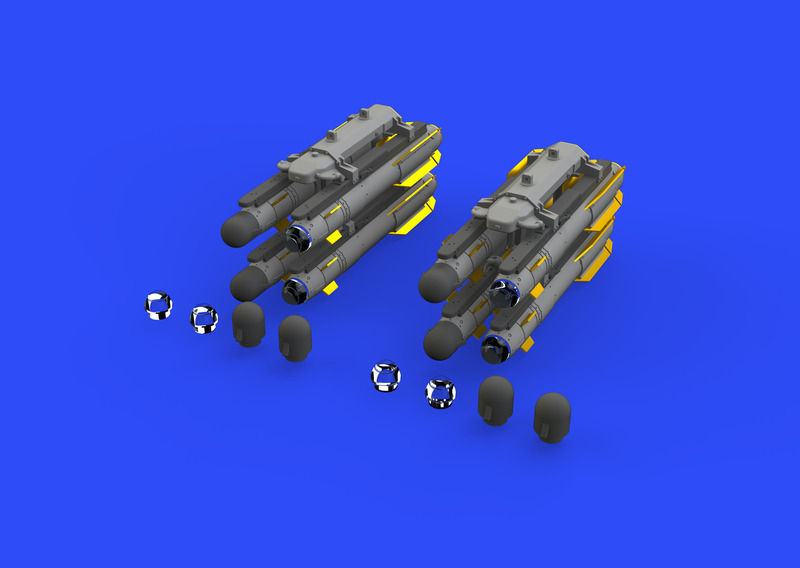 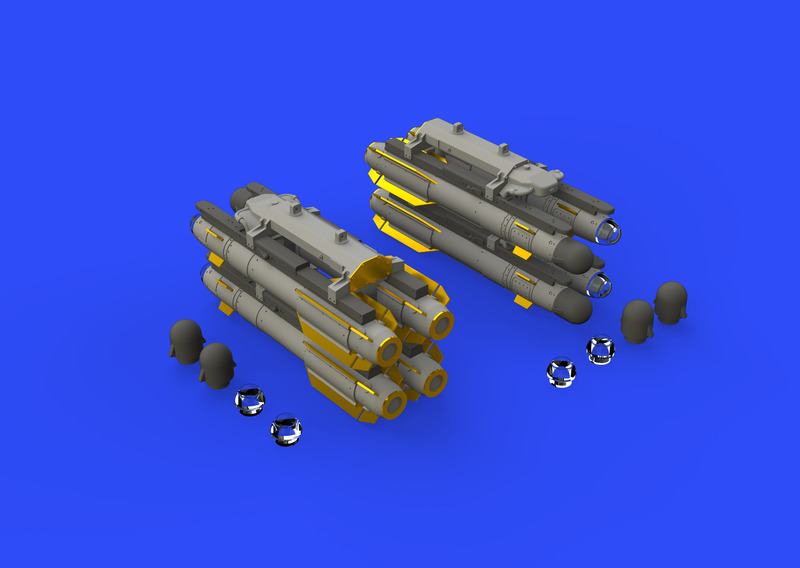 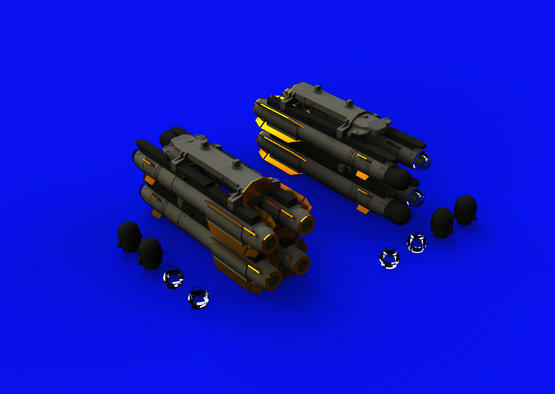 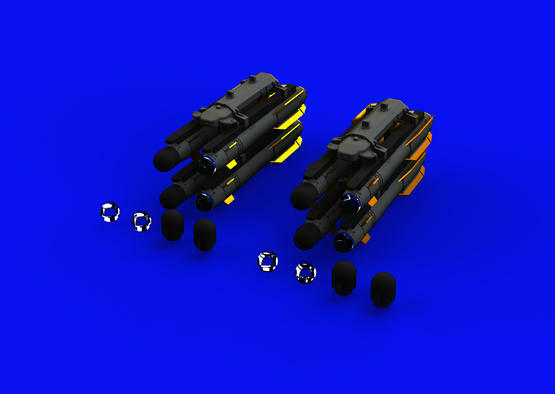 Set includes two packs with four rockets each. 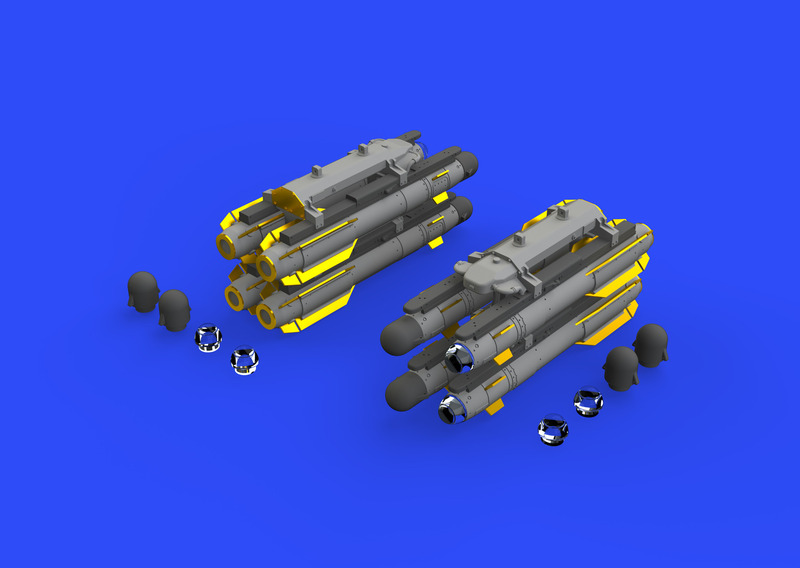 Clear parts for the laser head unit.